Save your time and energy for later, GroupWise to Office 365 Migration tool by Shoviv, the perfect alternative to GroupWise to Office 365 migration is here. It is automated and comes with a Graphic User Interface designed to suit all user needs. It can be used to migrate GroupWise mailboxes to Office 365 and MS Outlook along with contacts and other mailbox items. Its compatibility with all versions of MS Outlook, Windows Operating System and Novell GroupWise makes it a specially helpful tool. Its advanced algorithm allows the users to carry GroupWise to Office 365 migration in hassle-free manner. As mentioned above, this tool comes with a GUI which makes migration of GroupWise to Office 365 swift and easy. Safety is not something you would be concerned about while using this tool. The user only needs to have Office 365 user credentials in order to fetch all Office 365 mailboxes. This tool make sure that the Office 365 mailboxes have full access rights of selected Office 365 Global Admin User to perform the migration smoothly. For easier procedure to GroupWise to Office 365 migration, one can utilize the folder mapping facility. This feature allows the users to map the source of GroupWise mailboxes to target Office 365 mailboxes via automatic and manual mapping. One is also allowed to migrate from GroupWise Mailbox to Office 365 public folder and archive mailboxes. At the same time mapping folders while migrating from GroupWise to PST and Office 365 is also possible. Using this feature one can change the name and location of source/ target folder. In the task of GroupWise to Office 365 migration, connectivity plays a crucial part. This tool provides variety of options to add GroupWise mailboxes including cache mailbox path, remote mailbox path, default login, online mode etc. One can choose from among these options according to their need at the time. Not only does this tool make the migration of GroupWise to Outlook 365 easy, it also lets one save the GroupWise files into different formats. One can choose to migrate single or multiple mailboxes into Outlook PST at once. One can also create single or multiple PST file with password. Two other formats- MSG and EML are also available for saving the data into the local directory. Though GroupWise files are not restricted by any kind of file size limit, Outlook PST files are. They are not allowed to exceed 50 GB of length. So this feature of the tool is dedicated to splitting the PST files without damaging the content or losing any data. 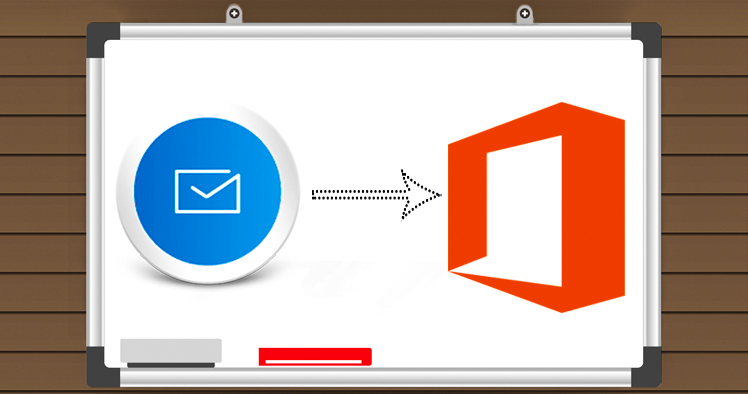 This tool would let you migrate from GroupWise single or multiple mailboxes data into selected email client if you are carrying Outlook profile Office 365 or have any other POP/ IMAP account. Additionally, it also lets you migrate data into public folder or archive mailbox. It is always suggested to have a look over the contents going for the GroupWise to Office 365 migration. Well, you would not have to work over extra for that, this tool automatically presents that feature over you. You can check the contents of the data and cross-check the attachment files to ensure that you are on the right path. The preview option thus lets you have a quick glance over the data and ensure that you are not skipping anything. In case you need to filter out a certain element while you have to decide to migrate GroupWise to Office 365 files, we have a solution for you. This tool would let you do that in a simple manner without having to look over the entire database. You can check out the item you are looking for using the date range and items type. Various criteria can be chosen to search out data files instantly too. For instance, you can use CC, BCC, attachment name to search out the file you are looking for. You can use the demo version first before you buy the full version, for full reassurance regarding the usefulness of this tool. The trial version has all the features of the full version and allows for GroupWise to Office 365 migration without restrictions. The only limitation is regarding the number of files you can export using the trial version, so once you are convinced that you need this tool, upgrade to the full version. Regarding any kind of enquiry, the client support system is omnipresent. Be it problems with the migration of GroupWise to Office 365 or information about the features, contact us right away. We can be reached via live chats, emails too. Get the link to the download below.